Only 2 Unlimited Sport S models left in stock! New vehicle pricing includes all offers and incentives. Tax, Title and Tags not included in vehicle prices shown and must be paid by the purchaser. While great effort is made to ensure the accuracy of the information on this site, errors do occur so please verify information with a customer service rep. This is easily done by calling us at 937-405-4067 or by visiting us at the dealership. 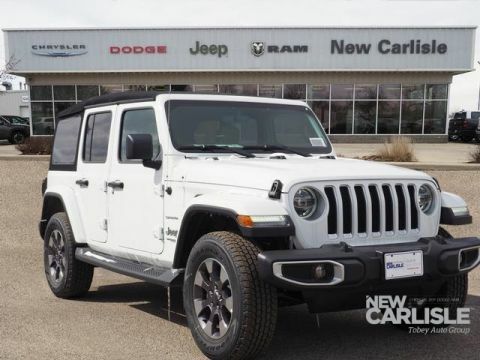 2019 Jeep Wrangler Unlimited Sport S Wrangler Unlimited Sport S, 4D Sport Utility, 3.6L 6-Cylinder, 8-Speed Automatic, 4WD, Bright White Clearcoat, Black Cloth, 1-Yr SiriusXM Radio Service, 7 Radio Group, 7.0 Touchscreen Display, Air Conditioning w/Auto Temperature Control, Air Filtering, Apple CarPlay, Automatic Headlamps, Cluster 7.0 TFT Color Display, Convenience Group, Deep Tint Sunscreen Windows, For More Info, Call 800-643-2112, Front 1-Touch Down Power Windows, Google Android Auto, GPS Antenna Input, Integrated Center Stack Radio, Leather Wrapped Steering Wheel, Power Heated Mirrors, Quick Order Package 24S Sport S, Radio: Uconnect 4 w/7 Display, Remote Keyless Entry, Security Alarm, SiriusXM Satellite Radio, Speed Sensitive Power Locks, Sun Visors w/Illuminated Vanity Mirrors, Universal Garage Door Opener, USB Host Flip, Wheels: 17 x 7.5 Tech Silver Aluminum. 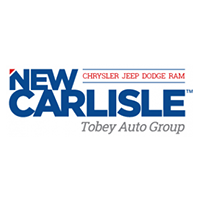 Why Choose New Carlisle Chrysler Jeep Dodge Ram? 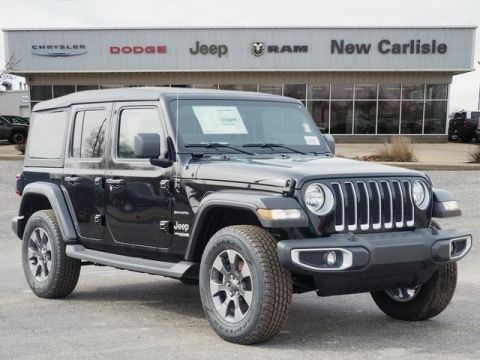 Drivers in the New Carlisle area will love the selection of new models at our dealership, but we also have a large inventory of used vehicles, including certified pre-owned vehicles, to choose from! 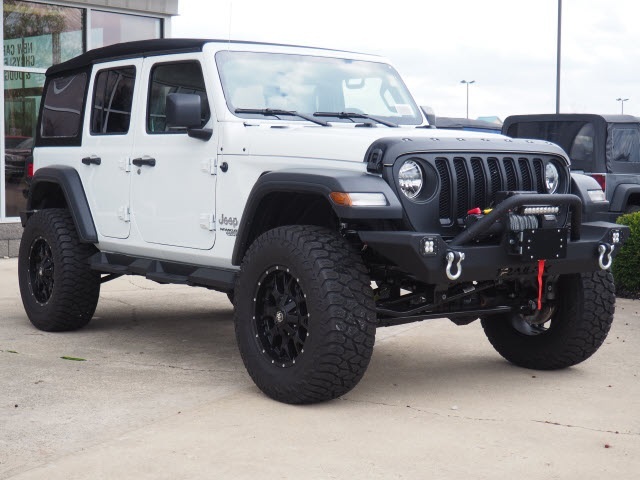 As a full service dealership we offer Ohio drivers expert vehicle repair and maintenance at our Chrysler, Jeep, Dodge and Ram service center. 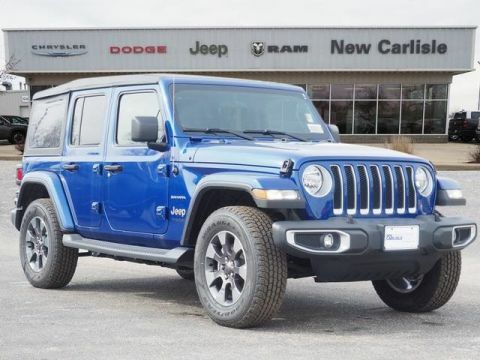 New Carlisle Chrysler Jeep Dodge Ram	39.9479217, -84.0224264.